The Expedition School requires 1 volunteer hour from each parent each month for a total of 10 hours per parent or 20 hours per family each year. 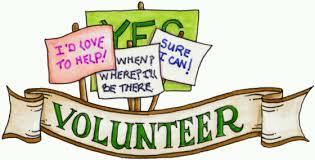 There are a TON of ways to volunteer even if you don’t have time during the school day! Easy things like making copies, stuffing envelopes while you watch television at night, or setup/cleanup after an event. If you have any questions you can reach out to our Community Liaison, Charity Mathews or Andrea Sterling. For the 2017-18 school year all volunteer opportunities will be posted at Sign-Up Genius. You do not need a Signup Genius account to sign up for volunteer spots or donations, but it may benefit you to sign up. You will just need to add you name, email and create a password on the registration page, it’s that simple. Schedule of events will be available on the TES and TESCA calendar, they are combined so you can refer to either calendar. If you are looking to lend a hand and volunteer your time to a particular TESCA committee like Social, Hospitality, Education or Yearbook, please fill out this form and your info will be shared with that committee.